Sunday's undergraduate orientation reception brought together undergraduate students, their advisors, and representatives from institutions interested in attracting undergraduates to their graduate program or undergraduate research opportunity. 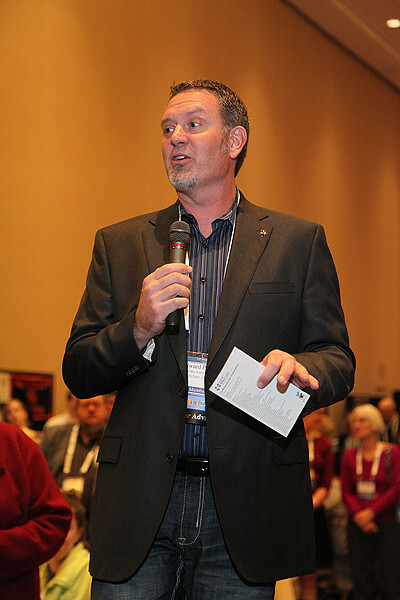 Members of the AAS Council and AAS Astronomy Education Board, including AAS Education Officer Edward Prather (University of Arizona), welcomed the students and offered tips on how to get the most out of a busy AAS meeting. AAS photo © 2014 Joson Images.